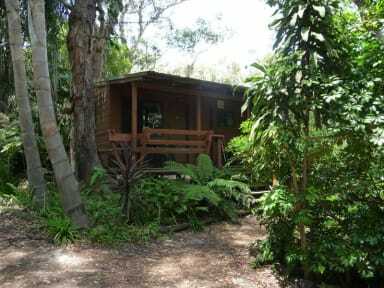 Samurai Beach Bungalows - Port Stephens YHA i Port Stephens, Australien : Boka nu! Lovely spot, just as I had imagined a hostel in the rainforest! So well laid out and kept. Spent day at the hostel, as a super contrast to having been in Newcasrle for a few days. Was the only one there in the day, so real tranquility, and catching up on things. Downside, the wifi is not the best type, have to log in when you've left its area, and it only works around the main building. No footpaths, no beach, so it has to be just the hostel, but it is really beautiful and a good retreat.